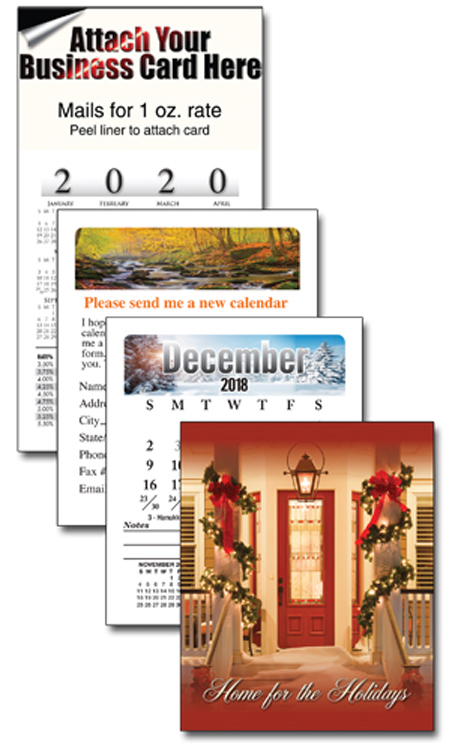 * Calendar features Coated Card Cover. * Calendar features full color seasonal image on each page. * Calendar Mails for 1 oz. rate. * Each Calendar has a printed backer featuring next years calendar and amortization schedule on front and kitchen measures on back. * Calendar is printed in full color on white bond. magnet makes it easy to attach to refrigerator for daily use. * Reorder Page included - makes Reordering easy. * "AdMags" available for this product.